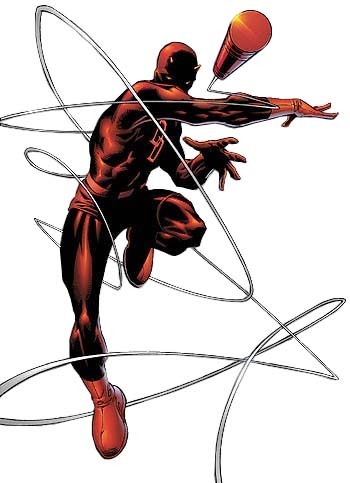 First Appearance: Daredevil (vol. 1) #1 (Apr. 1964): "The Origin of Daredevil"
The Amazing Spider-Man (vol. 1) #565 (Sep. 2008): "To Squash a Spider!" Captain America (vol. 1) #234 (June 1979): "Burn, Cap, Burn!" Captain America (vol. 1) #235 (July 1979): "To Stalk the Killer Skies!" 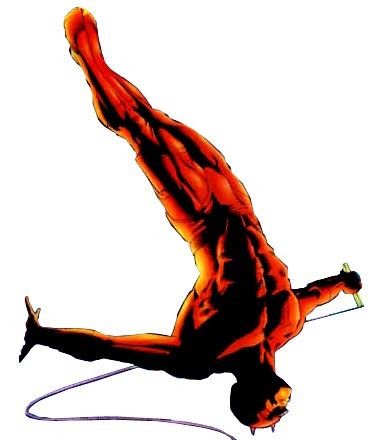 Daredevil (vol. 1) #276 (Jan. 1990): "The Hundred Heads of Ultron"
Daredevil (vol. 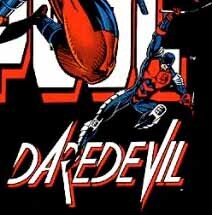 1) #500 (Oct. 2009): "3 Jacks"
Daredevil Annual #5 (Sep. 1989): "The Rescue"
Daredevil Annual #6 (June 1990): "Truth or Dare?" Daredevil Annual #6 (June 1990): "Innocent Bystander?" Daredevil Annual #8 (Sep. 1992): "Growing Up"
Elektra (vol. 1) #-1 (July 1997): "Love is Blind"
Giant-Size Defenders #3 (Jan. 1975): "Games Godlings Play!" The Incredible Hulk Annual #16 (June 1990): "Quality of Mercy"
Marvel Comics Presents (vol. 1) #150 (Late Mar. 1994): "Fractured Fairy Tales"
Marvel Comics Presents (vol. 1) #151 (Early Apr. 1994): "Quite Contrary"
Peter Parker, The Spectacular Spider-Man #107 (Oct. 1985): "Original Sin"
The Punisher War Journal (vol. 1) #2 (Dec. 1988): "An Eye for an Eye, Chapter Two: Tie a Yellow Ribbon"
The Punisher War Journal Classic (Aug. 2008): "An Eye for an Eye, Chapter Two: Tie a Yellow Ribbon"
The Punisher: An Eye for an Eye (Dec. 1991): "An Eye for an Eye, Chapter Two: Tie a Yellow Ribbon"
Shadowland: Blood on the Streets #1 (Oct. 2010): "Crime and Punishment"
Silver Sable and the Wild Pack #23 (Apr. 1994): "Death Threats"
Spider-Man Unlimited (vol. 1) #2 (Aug. 1993): "Other People's Dreams"
Thunderbolts Annual '97 (June 1997): "Chapter 5: Shell-Shocked!" Untold Tales of Spider-Man Annual '97 (1997): "The Devil and Mrs. Parker"